In this webinar, inside sales expert Craig Rosenberg will discuss the best practices and tactics for the best inside sales organizations in the world. In this webinar, we'll be exploring how enterprise networking leader Extreme Networks used intent to achieve some amazing results - like shortening sales cycles and closing bigger, better deals. 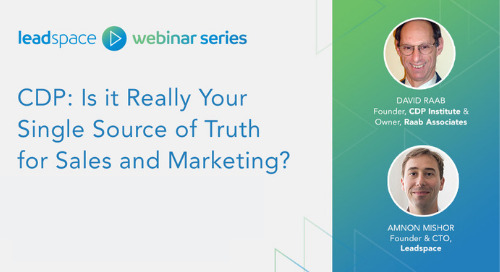 CDP: Is it Really Your Single Source of Truth for Sales and Marketing? How are leading B2B enterprise companies using Customer Data Platforms to increase efficiency, rapidly speed up sales cycles, improving marketing engagements and win more high-value deals? 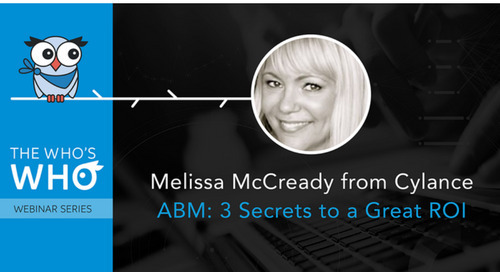 More and more B2B companies are adopting account-based marketing (ABM) — but who’s doing it right, and how can your company ensure great ROI from your ABM campaigns? Learn how to calculate ROI and convey the value most relevant to your prospect - to effectively close business. See all your buyers in one place. Analyze your total addressable market. Find net-new buyers who will convert. 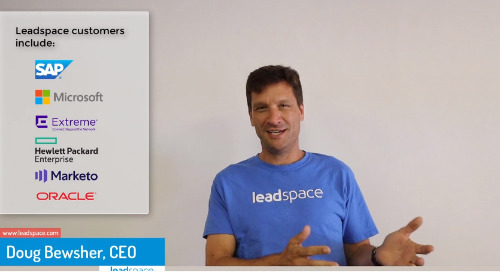 See a demo of Leadspace Audience Discovery. 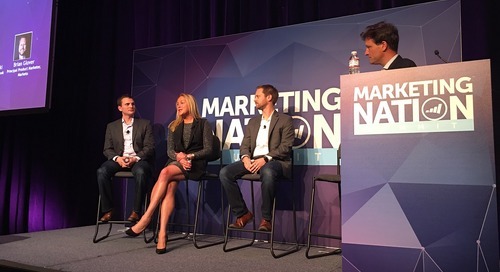 Scale your content marketing to optimize your account-based marekting strategy. Some people say social media is dead, but it's really a crucial part in your B2B lead generation startegy.